Brazilian Jiu Jitsu is not easy. It is widely accepted that it is, in fact, the most difficult Martial Art. We challenge each of our children to put in real effort. To push themselves to be the best they can be BOTH on and off the mats. We are heavily involved with the parents and encourage updates on behavior and grades at school. We keep an open line of communication so that we can be a resource for your family. We consider it our HIGHEST Honor that you allow us to teach your children this amazing art. Key lines of instruction, in addition to learning legitimate self defense techniques, include an anti bullying program. From time to time we will discuss Verbal and Non-Verbal communication skills to show your child how to carry themselves in a manner, that avoids conflict. But if conflict should find them.. they are prepared. We also encourage the defense of others to instill a high level of integrity. In short- bullying is never acceptable. We encourage our students to “Speak up” or “Step up” to defend others against such behavior. In the new cyber world we have seen a great increase in childhood obesity. Kids today are more inclined to play online or on an iPad or cell phone than to get outside and exercise. Each of our classes starts with a highly effective cardiovascular workout that increases overall health and wellness in our students. The students are pushed and “Motivated” not only by the host of coaches, but by the other students. We are truly a team. As a reward for good effort we will routinely convert an entire class into a “Game class” with indoor soccer, or other Jiu Jitsu related games. We often play dodge-ball or have a special instructor come in to mix it up. We want discipline, and structure but we ALSO WANT FUN! WHAT DOES BRAZILIAN JIU JITSU LOOK LIKE? Here is some footage from a high level kids tournament! Enjoy! Our gym is run like a family. 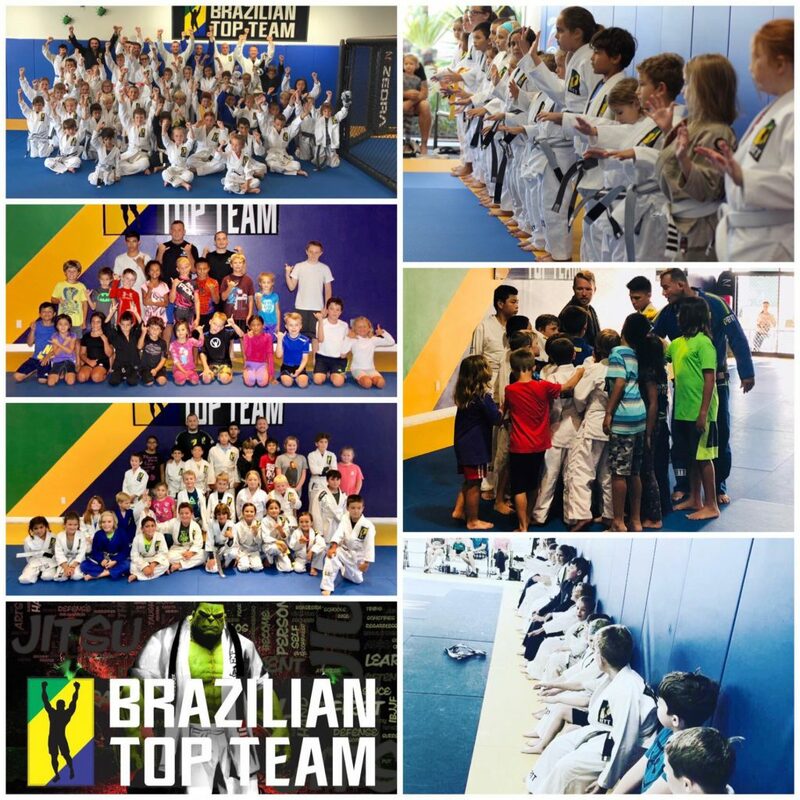 We have the largest kids Jiu Jitsu program in Brevard County and our kids group grows each week. Come try a FREE CLASS!